Camping at Sandy Cape is often quite busy. I prefer to drive south about a kilometre and camp near where this photo was taken. Its got better fishing, less people and you don’t have to pay to camp! Hi got a question for you… are license quad bikes allowed at sandy cape? Where abouts do you have to pay to camp and do you have to pay before arriving? Are dogs allowed? As far as I know, you are allowed to take dogs but they need to be on a leash in certain areas. I believe you pay the caretaker, who lives in a big bus. I wouldn’t be too concerned with paying immediately though; I wouldn’t be surprised if he came around the next morning to collect. looking at camping from this sat to wednesday, do yo think we would get a spot on sat or would we have more chance on sunday ?? I have no idea what your chances are, but it does get busy. Maybe plan for camping there, but have a backup plan as well? 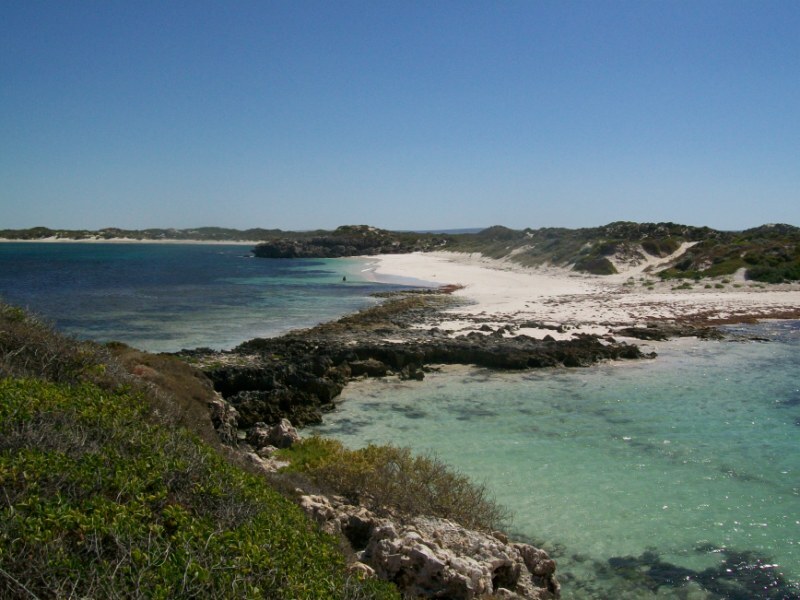 We were looking at camping at sandy cape this easter weekend but we Cant really make it will fri/sat ( are comming to jurien WED so we can reserve a spot somewhere if nessiary) and as it is so popular i doubt we will get a spot! This place you talk about a 1klm away is it easy to find? we are all 4WD and there will be about 5 cars so do u think there will be enough space for us?? Do you know of anywhere else up the coast that would be also great that we can sneak into along the way?we will be heading up from perth, we are all totally self suficent so we can go anywhere but want good fishing and 4WDing!! Thanks for your help and love that i found you!! I have no doubt that it will be absolutely packed at Sandy Cape over Easter. You can look at the places around Sandy Cape, but make sure that you are within the designated camping grounds. You can find this here – http://www.dandaragan.wa.gov.au/rangerservices/code. Unfortunately with much of our coastline being closed to camping your options are becoming quite limited. If you are prepared to drive a bit further, Lucky Bay is a great place to visit. It will also be extremely busy, but the difference is there is plenty of room to spread around.